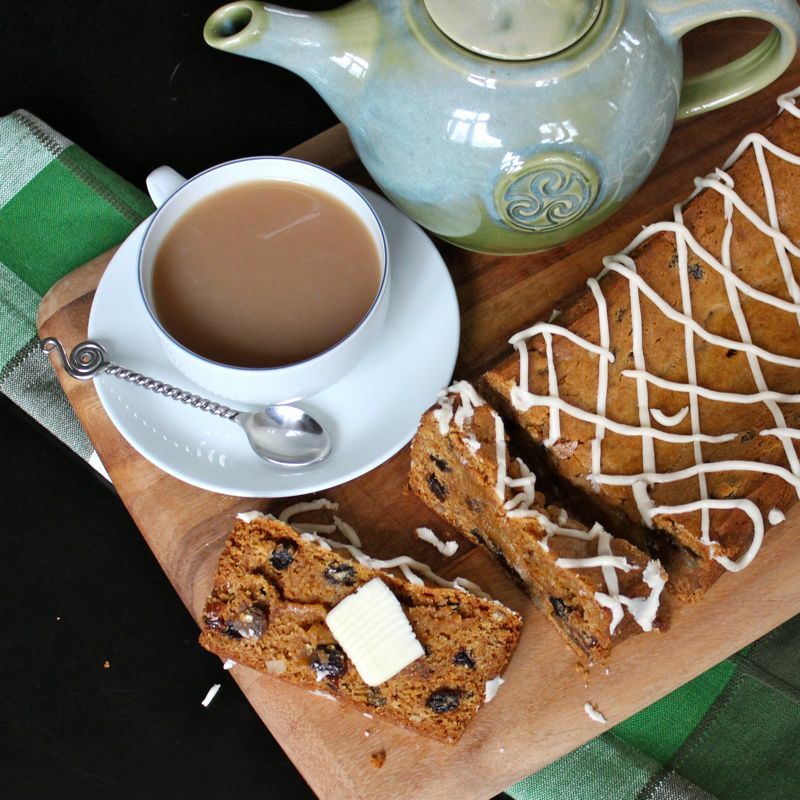 Anyhooo….This lovely quick bread can probably be thought of as more cake-like than bread-like. 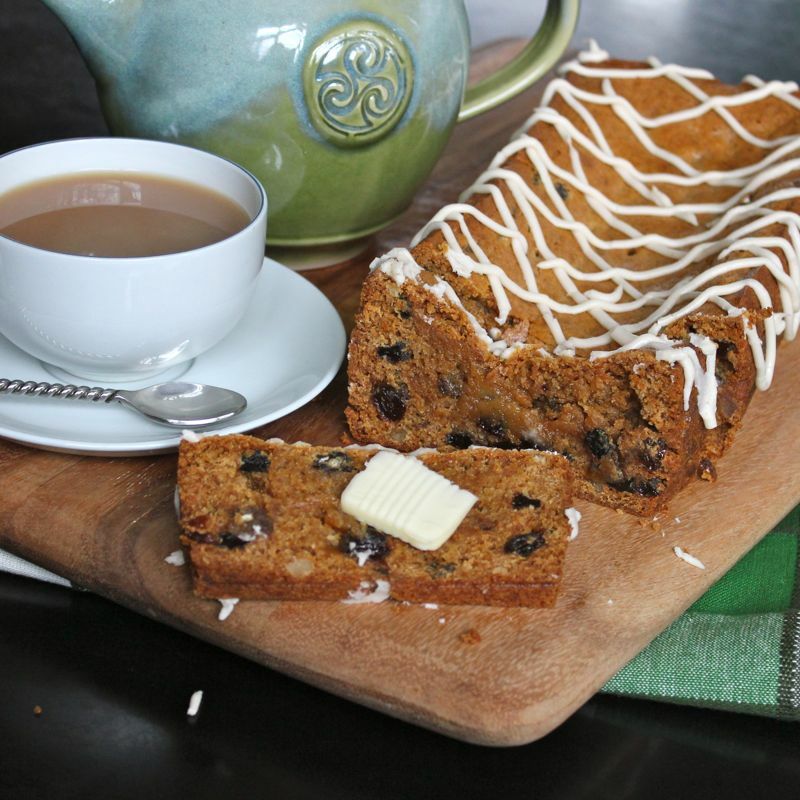 Quite sweet, it is chock full of chopped citron and raisins along with a veritable riot of spices – cinnamon, nutmeg, allspice ginger – hence the name. 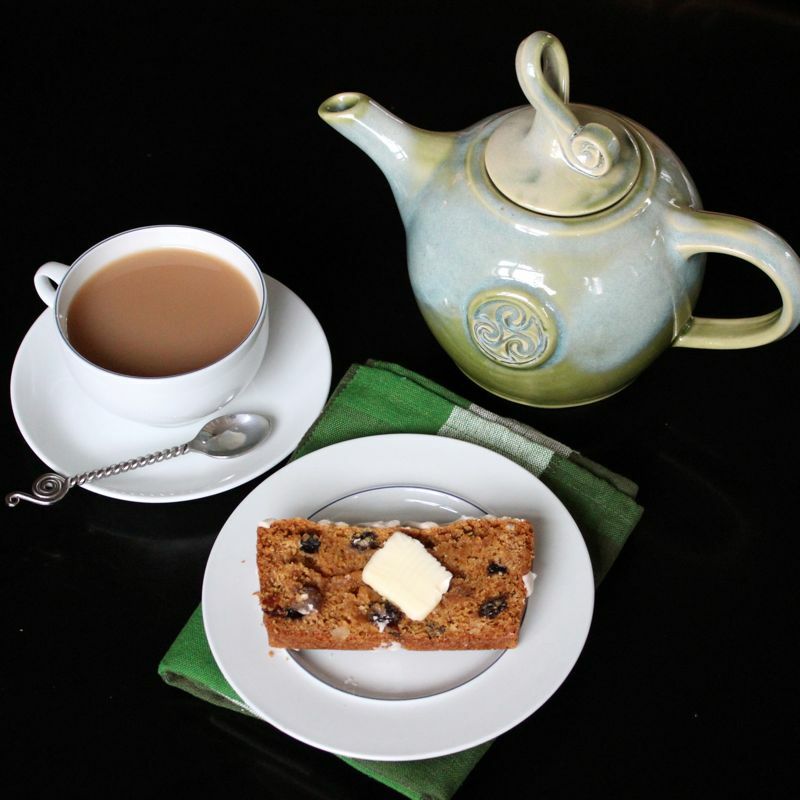 Very versatile, this bread is great for breakfast slathered in butter, equally welcome along with your afternoon tea or can be a simple yet tasty dessert topped with a bit of fresh whipped cream. And leftovers are not a problem. 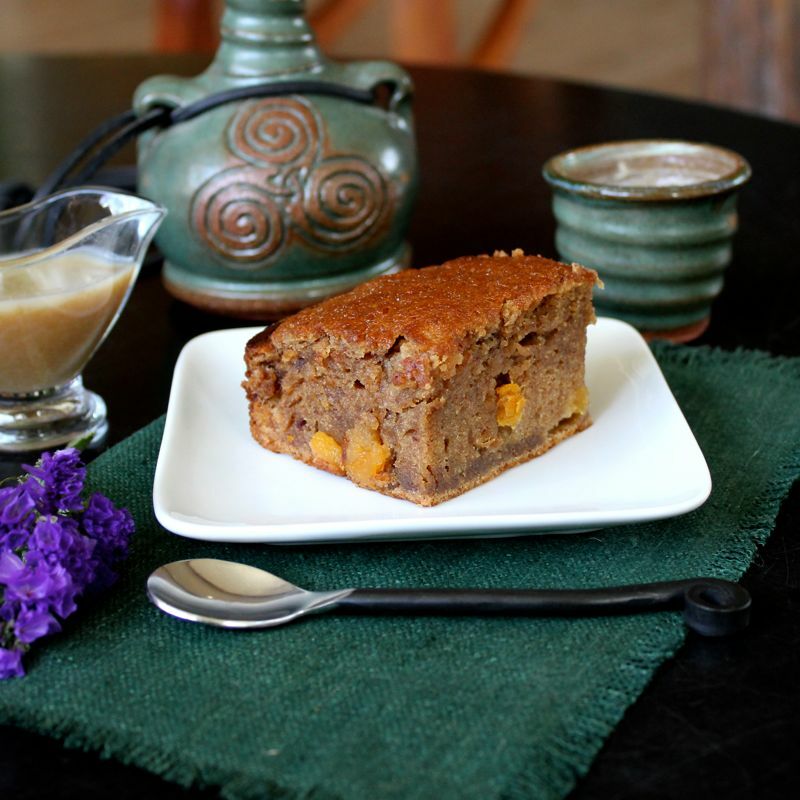 It holds up well in the pantry and I think the taste even improves a bit with age. 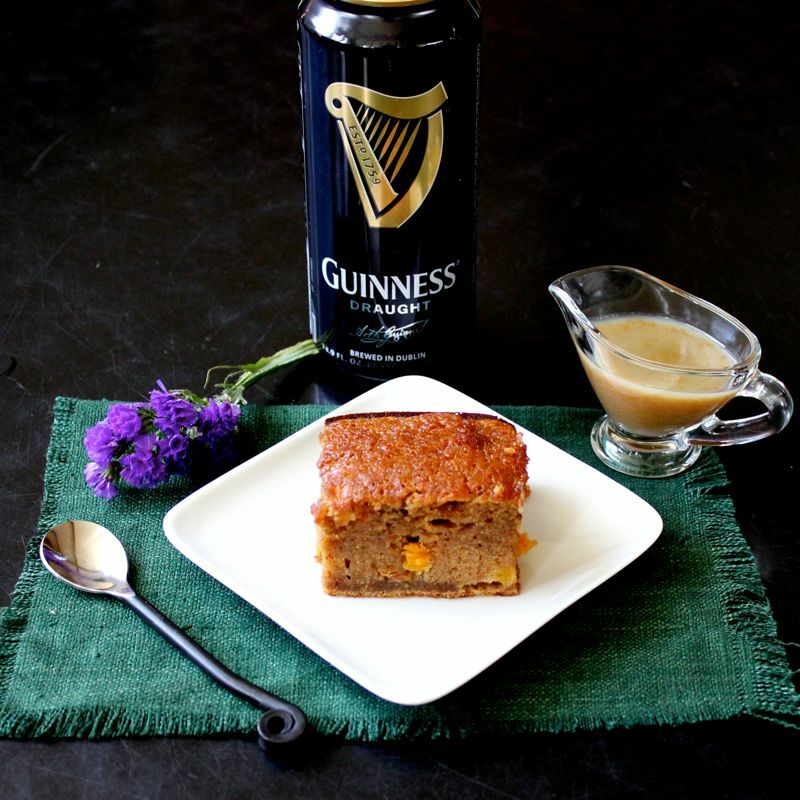 Perfect to have a loaf on standby for your St. Patrick’s Day celebrations. Line a 9×5″ loaf pan with parchment paper or grease it with butter. In a large mixing bowl, whisk together the dry ingredients. Stir in the raisins and candied citron. Make a well in the center. In a small sauce pan, melt the butter. Remove it from the heat and stir in the brown sugar and Lyle’s Golden syrup. Beat in the egg and milk until combined. Add the wet ingredients to the dry and stir until combined. Place batter in prepared pan. Bake for 60-70 minutes until toothpick inserted in center comes out clean. Cool loaf on a rack for 20 minutes and then remove from the pan. Allow to cool completely before glazing. 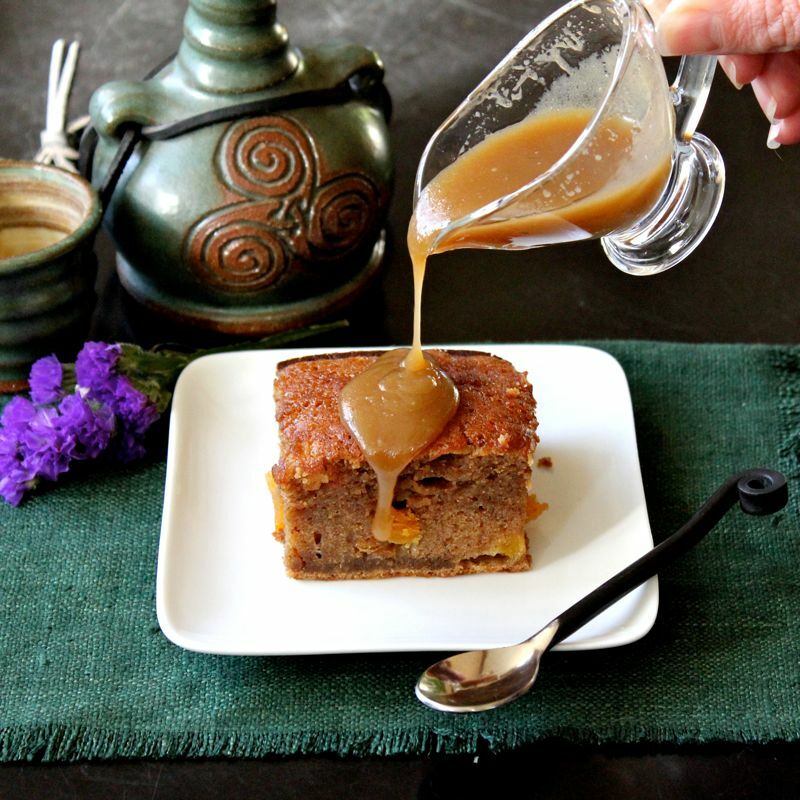 To make the glaze, melt the butter in a small saucepan. 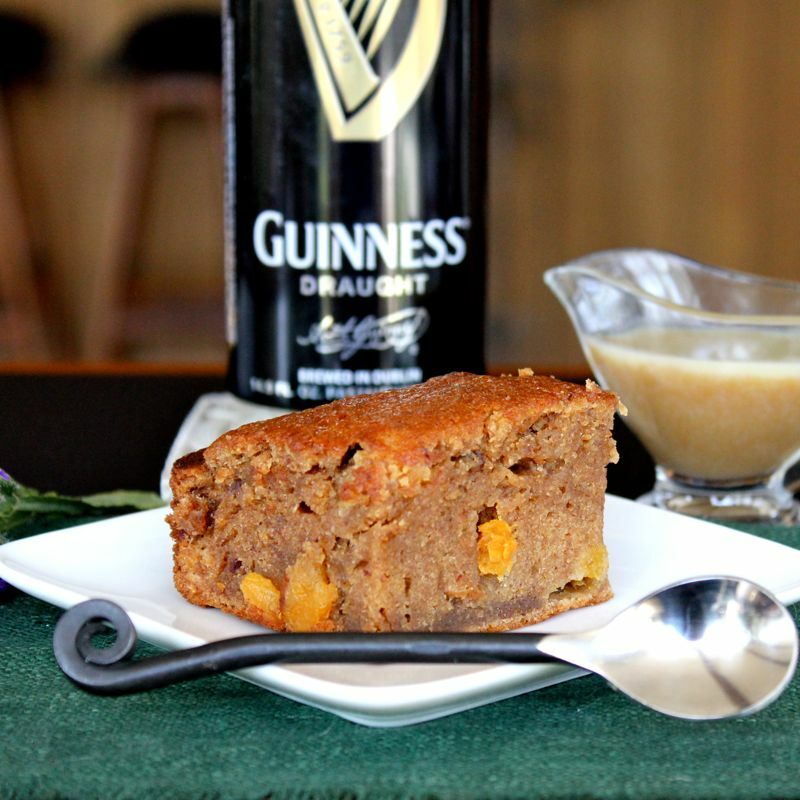 Remove from heat and whisk in confectioner’s sugar, vanilla and whiskey. Allow the glaze to cool for 15 minutes. Spoon the glaze into a pastry bag fitted with a round tip. Pipe glaze in pattern of your choice across top of bread. Alright, alright, alright! Only seven more days to go until St. Patrick’s Day! I can’t believe I’ve managed to get this far with my blogging extravaganza! I’m almost there! 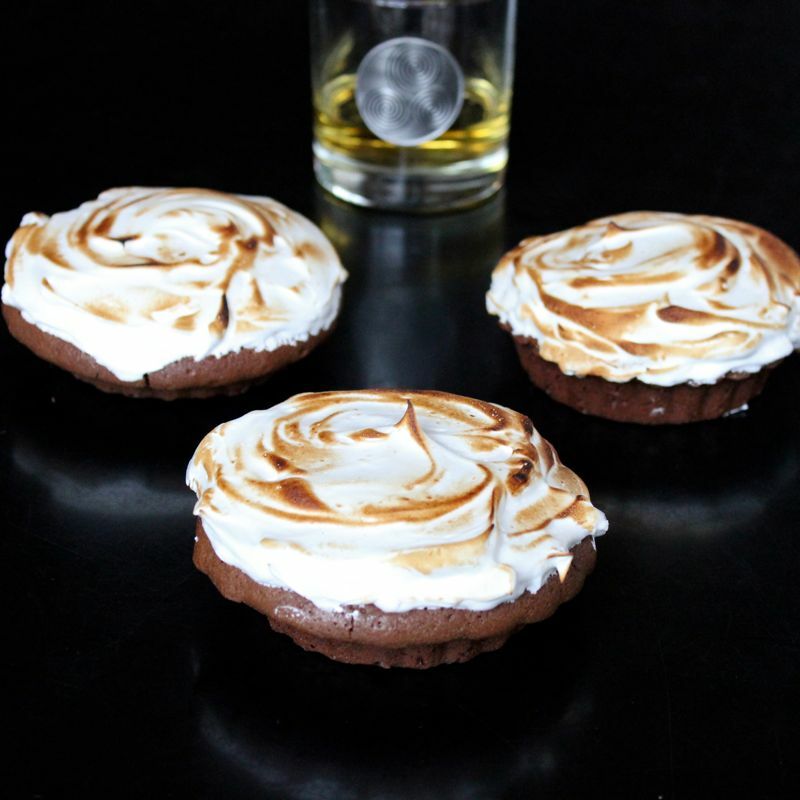 And today I’ve got a great St. Patrick’s Day recipe for you…Brownie Tarts with Irish Whiskey Meringue. Nom, nom, nom! 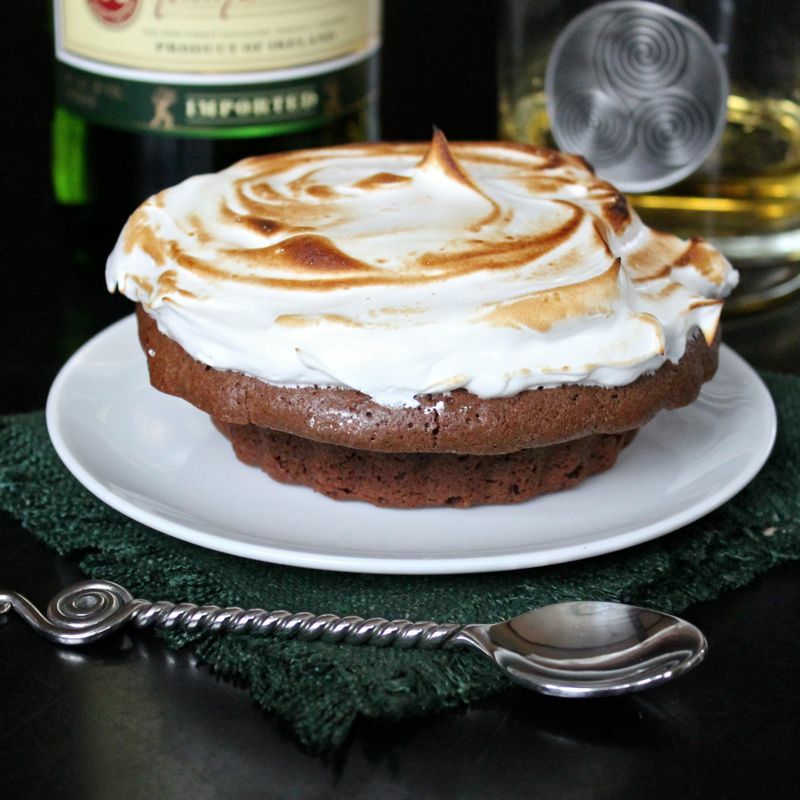 I mean who wouldn’t love a moist, decadently rich, chocolate brownie topped with a veritable mountain of sweet, Irish Whiskey meringue?! Now you can make this dish as one large 9″ dreamy tart, or if you have the smaller, individual sized tart pans, it will make eight of those deliciously cute little devils. I’m a sucker for the personal sized dishes. Perhaps it is because small things are so cute…you know like puppies and kittens. It also might have to do with the fact that once you get your hands on an individual sized portion, which is often bigger than you likely would have helped yourself to if left to your own devices, you don’t have to share it with anyone else. 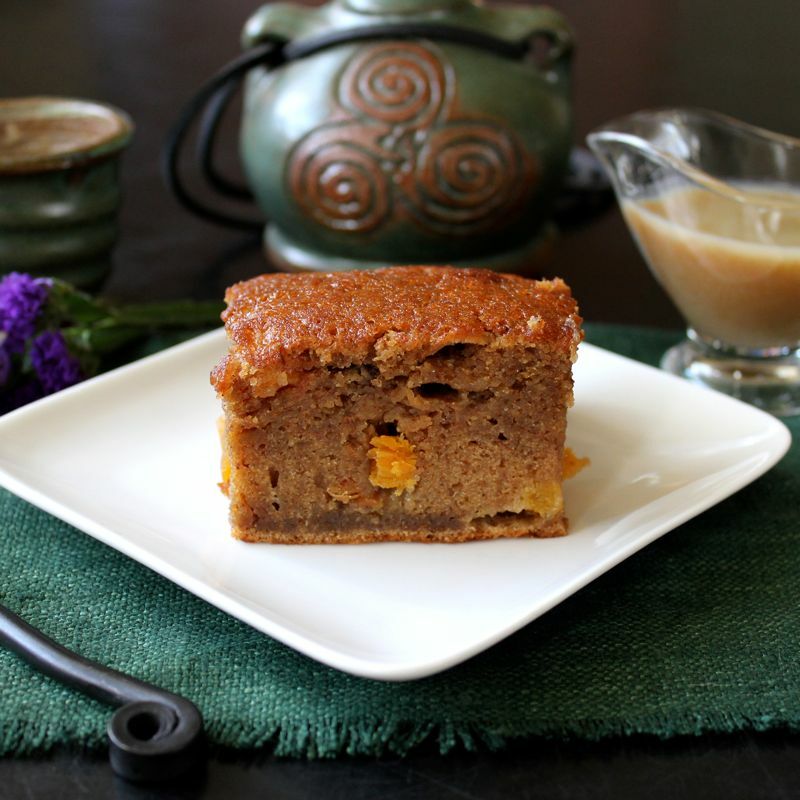 Oooo…did I just admit to not wanting to share? Everyone knows, “sharing is caring”. Except for when it comes to desserts and then I think it is more like “every man for himself”. Anywhoo…. I went with the individual tart pans. The original recipe said that it only would make four individual tarts, but I definitely got eight out of it…and they were not skimpy tarts, but filled the whole of each little pan…Dunno…I’m just going to go with “more is better” so lucky me! 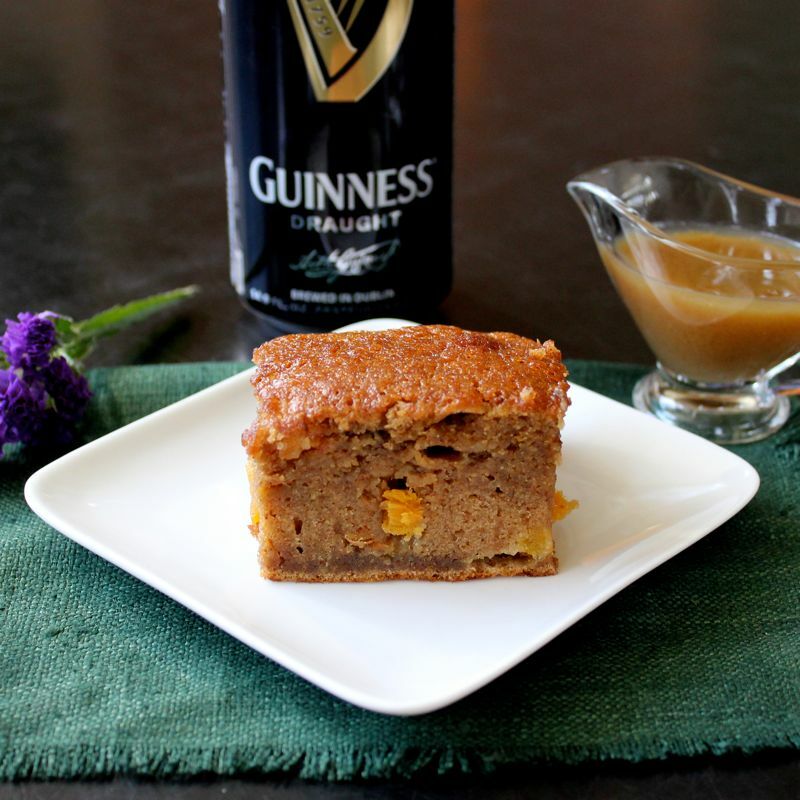 And although this dessert looks quite impressively difficult, it is very easy to make. Everyone can pull off some brownies, so no sweat there . Now meringues have been known to be a bit finicky and temperamental, but this one was very cooperative, rising to celestial heights and perhaps more importantly, once there, staying put and not sinking back down to the gloomy depths the second you turned your back on it. 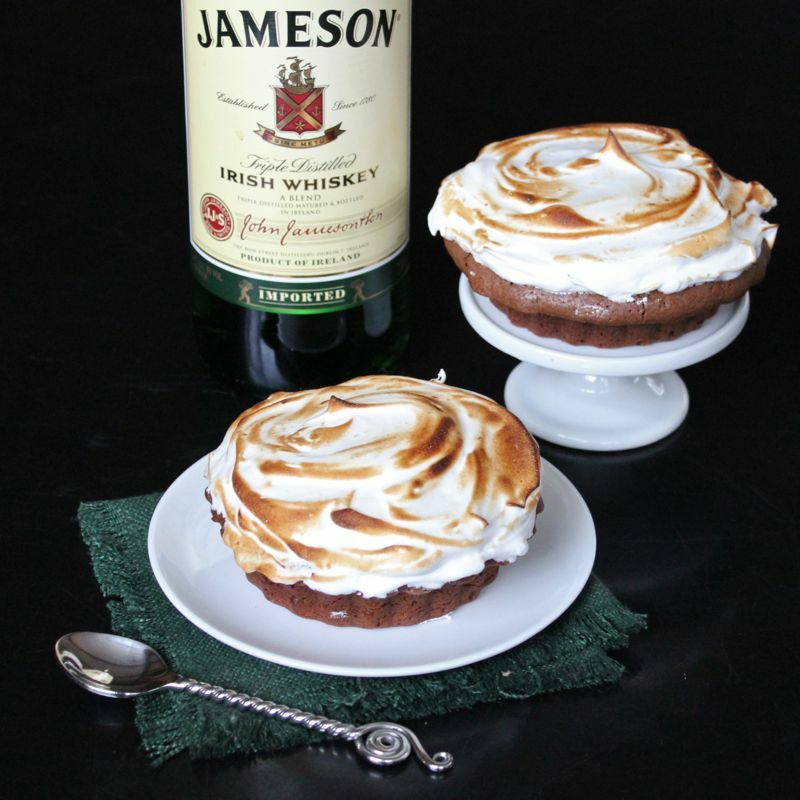 And I should mention, there is Irish Whiskey in this here meringue. I don’t want to leave that essential fact out. 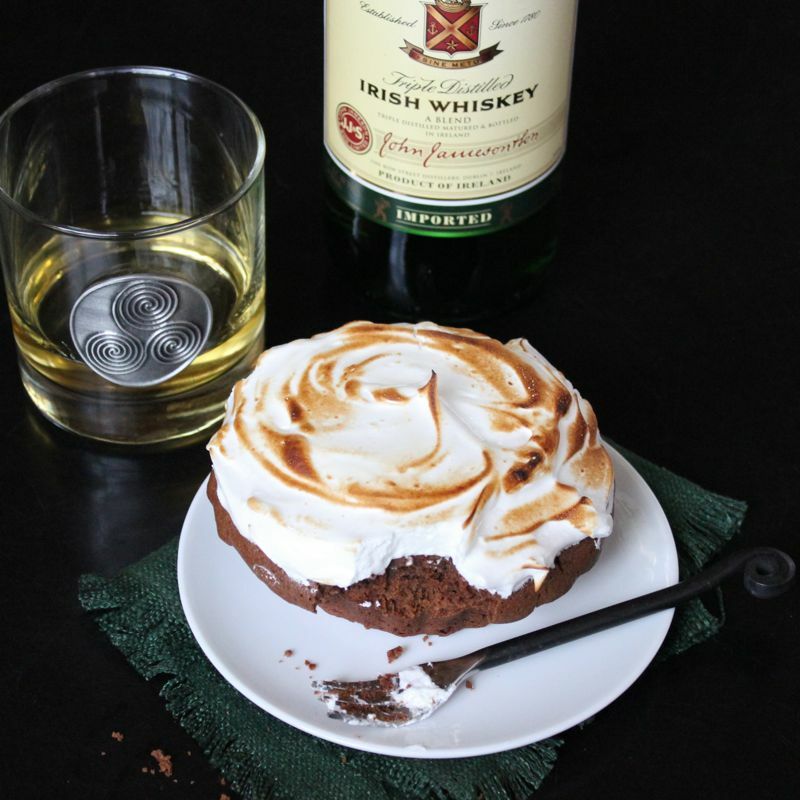 Perhaps it is the whiskey that makes that meringue so resilient. It definitely makes it particularly tasty! Come on…make up a batch today…you know you want to! Grease a 9 inch removable bottom tart pan or eight 3 1/4 inch individual tart pans and set aside. Add the butter and the chocolate to a medium saucepan and heat over low heat until melted and smooth. Remove from heat. Add the sugars, eggs, flour, cocoa and whiskey to the saucepan and mix until thoroughly combined. Pour batter into prepared tart pan(s). Bake for 25 to 30 minutes or until the brownies are set. Remove from oven and cool. For the meringue, add the egg whites to a mixer bowl and beat until soft peaks form. Gradually add the sugar while beating until the egg whites are thick and glossy. Add the cornstarch, vinegar and whiskey and beat until combined. Spoon the meringue over the cooled brownie. 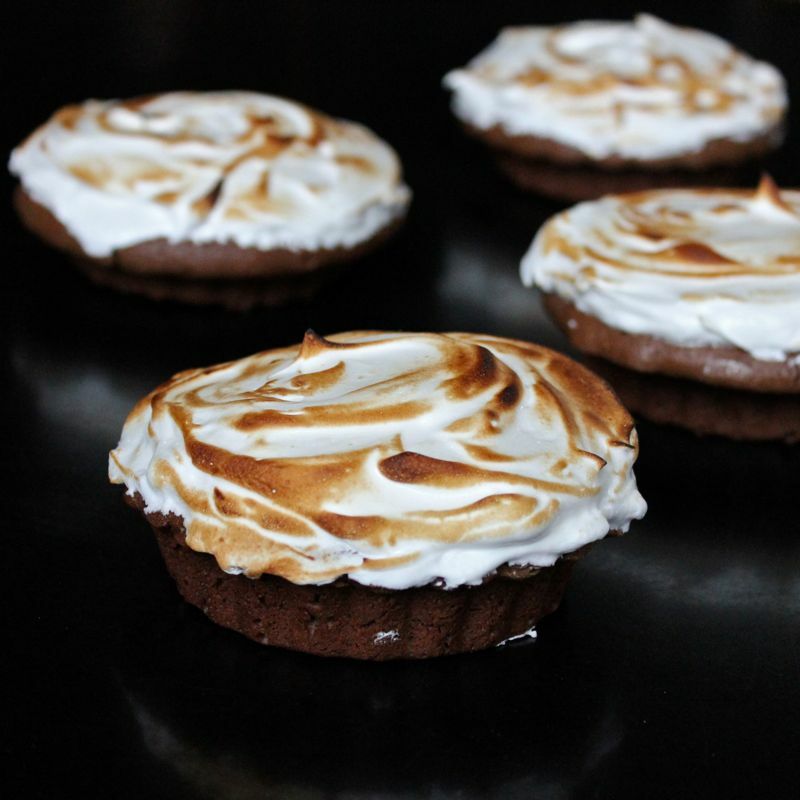 To toast, either use a kitchen torch or pre heat the broiler to high and broil for 1 minute until the meringue is golden brown. Slice and serve!